I have a friend who is studying to be a hypnotherapist. I’ve never known anyone who is a hypnotherapist, nor have I gone to see one. It’s been interesting to me as she has hours and hours of classes and is learning so much new information which just boggles my own mind. When she shares an interesting tidbit she learns from her class, many times I’m simply speechless for it takes me a few minutes to wrap my thoughts around what she’s just learned. Of course, she probably simplifies it for me which makes it easier for me to digest. But all in all, I think that our minds are so very powerful and at work in our lives 24/7 to degrees we laypeople have never even imagined. So when this quote popped up in my life today, I knew I had to share it. For how many times have you just decided ‘it was fate’ that you met your loved one at the grocery store, or ‘fate’ that brought you and a friend somewhere at the same time, or ‘fate’ that you and your first boyfriend found each other again on Facebook? Have you ever seen a hypnotherapist or know someone who has? 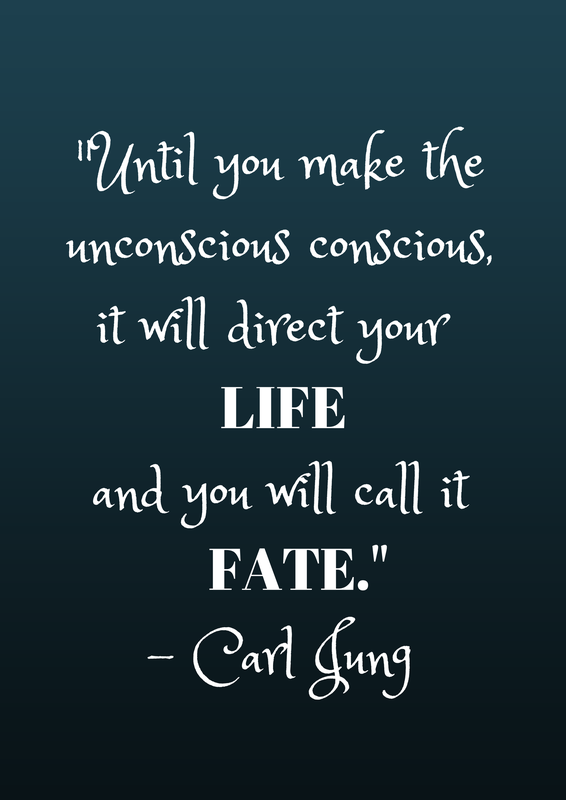 What do you think of Carl Jung’s quote? I’m eager to learn more so please share with me!